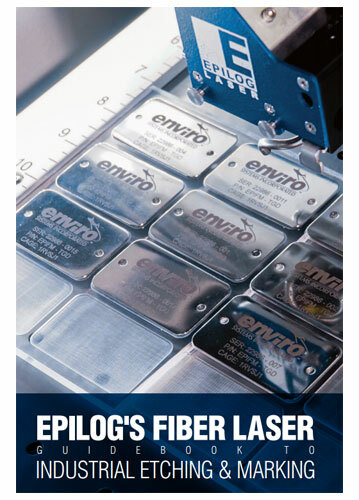 Golden, Colo. (Sept. 7, 2017) – Epilog Laser is excited to offer a newly-developed Fiber Laser Guidebook to Industrial Etching and Marking. The comprehensive guide includes information on how fiber laser systems work, compatible materials, achievable marks, recommended laser speed/power settings, and much more. It is available for download here and can also be found on the Epilog website. The guidebook is available online, though print versions can be requested from the Epilog website, www.epiloglaser.com.